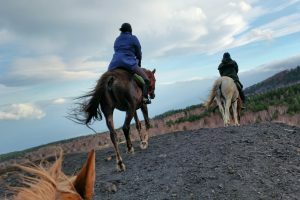 6 days riding from April to October – wonderful trail for riders who wants to admire the rough nature and the stunning landscapes in the Etna area on horseback. 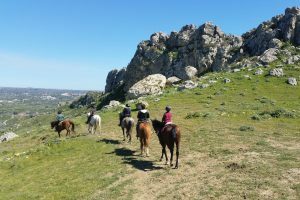 6 days riding from April to October – A paradise for riders and nature lovers to discover four Sicilian parks: Madonie Mountain, Nebrodi Park, Alcantara Valley and Mount Etna. 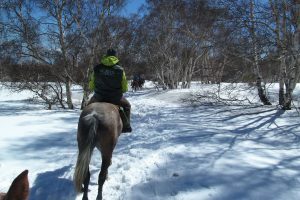 3 days riding all year round – Wonderful three days trail for riders who wants to admire the rough nature and the stunning landscapes in the Etna area with its lava deserts and caves. 6 days riding from April to October. 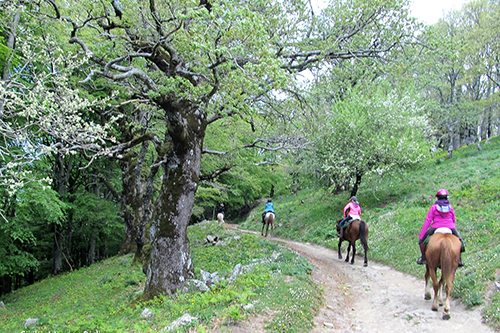 – Perfect trail for minimum stress: every night in the same farmhouse, making different daily excursions to the most importants highlights around Etna. The 6day trip from Castelbuono to Catania was a great adventure. Our guide Alessandro, his son and Manuela looked after us in fine style. We stayed in agritourist guest houses who all made us so welcome and provided great food. The dramatic views of Etna as we rode round the foothills were amazing. A really good holiday – even though the weather ranged from sunshine to snow! Great trip to Monte Ilice with two rather inexperienced riders, but Manuela did a great job in leading us up and down the very steep mountains. I think I never went that high on a horse! 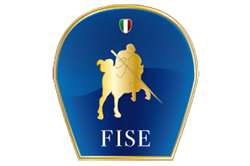 Horses were just great and made the experience with the perfect view of Mt Etna very special. Thanks a lot!